Once again great value and quality for price paid. Keep up the good work. Are the Disposable Plastic Aprons Flat-Packed Aprons for children or adults ? These aprons are designed for adults. We do also offer small flat pack aprons designed for children. can you tell me the size of the pack that the aprons are in please? The approximate size of each pack is 470 x 340 x 20mm. 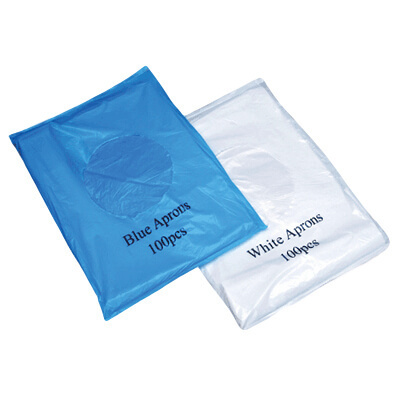 A best seller, our Apron Polythene Flat Packs are the ideal choice for both catering and medical environments. With their long length which covers from the shoulder to above the knee, these disposable aprons can be easily slipped over the head to protect clothes from liquid spills and also aid in the control of infection. 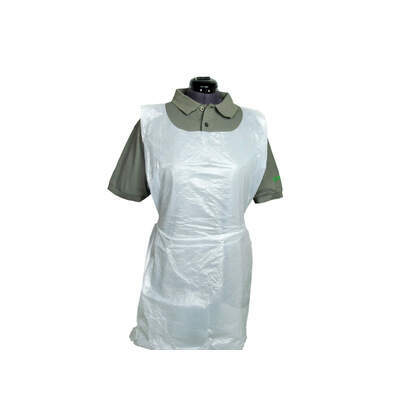 Lightweight with a 10 micron polyethene construction, each single use apron has been packaged flat which allows them to be individually removed both hygienically and with ease. 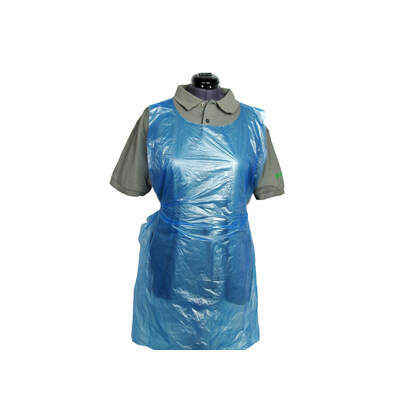 Eliminate the need for excessive apron washing and prevent cross contamination by purchasing aprons that can be disposed of immediately after use. Our disposable Aprons are also available on a roll to reduce waste and can be purchased in a wide variety of colours for your own individual needs.